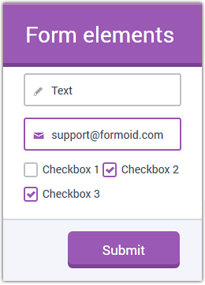 Formoid makes creating beautiful web forms a cinch and a joy. With a no-coding drag-n-drop GUI, trendy Flat, Metro, Bootstrap form themes, pure css styled, responsive, retina-ready form elements, as-you-type validation, anti-spam captcha - Formoid is a just incredible form tool! Modern Metro, Flat, Bootstrap themes with fancy color schemes. Pure CSS radios, checkboxes, selects, file upload, date picker, tooltips, and even google captcha! All form elements look brilliantly on high resolution displays and devices. Fully optimized to work on desktops, mobiles, and tablets. The web form is a core method of interaction of any website and a clean, friendly, attractive form is absolutely vital to minimize errors or failed submissions. Formoid is an awesome tool combining latest design ideas and most advanced web techniques to help you create your best forms. The Most Intuitive and Easy-to-use Form Builder - No more hand coding, just quick and easy drag-n-drop form-building. 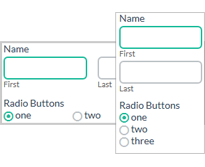 Creating simple and complex forms is a snap with Formoid! Mandatory fields - Mark fields as "Required" and show a warning messages if necessary. Anti-spam captcha - Add most-trusted and powerful Google reCaptcha in one click. Stop spam from automated bots! CSS styling - Pure CSS layout - radios, checkboxes, selects, file upload, date picker, tooltips, and even google captcha! No images used! Handling Forms with PHP - Formoid isn't just for client-side HTML forms. It also generates a powerful PHP handler to process form submissions. No Coding - The server-side PHP code is generated fully automatically, and if you server is PHP-enabled, all you need is to upload this PHP file along HTML one. No PHP programming knowledge required! 1. Editing area: This area acts as your work space where you will edit and build your form. Control the look of your form by dragging elements from the Elements Panel and by changing the form or element properties in their respective tabs. New: Create a new form. Open: Open an existing form. Save: Save the current form. Save HTML: Save the current form in HTML. Preview and Test: Preview your form by testing it on the internet. My Forms: A new window will open up where you can preview, change and manage all of your forms that are hosted on our server (formoid.net). Share: A new window will open up, which gives options and ways to embed your form code. Email address: Email address of your current account. Click it to switch your account. My Account: View your account information. NOTE: Green buttons work locally. Blue buttons require an internet connection. Text: Creates a text field. Textarea: Creates a larger text field. Select: Creates a dropdown list of options to select. Multiple Select: Creates a dropdown list of options to select. Users can select multiple options with this element. 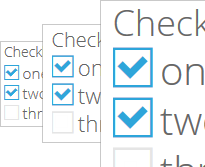 Checkbox: Creates a list of checkbox options. 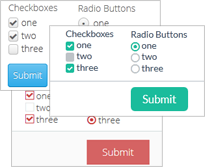 Radio Button: Creates a list of radio button options. 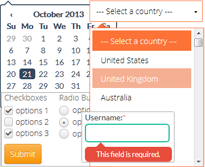 Date: Creates an input field for a date. Number: Creates an input field for numbers. Send File: Creates a file selection field where users can choose and select files from their hard drive. Email: Creates an input field for an email address. Website: Creates an input field for a URL. Name: Creates an input field for first and last names. Address: Creates input fields for an address including street address, city, state/province/region, postal code and country. Password: Creates an input field for a password. Phone: Creates an input field for a phone. Captcha: Creates a captcha for users to “solve” before submitting the form. This element helps protect against spammers. Font Size: Select the size. Font Face: Select the font desired. For example: Arial,Helvetica,sans-serif. Google web fonts are available also. Font Color: Select the font color for the text. Width: Input a number in pixels (px) or percents (%) to change your form’s width. Form Color: Select a background color. Page Color: Select a color for your page. 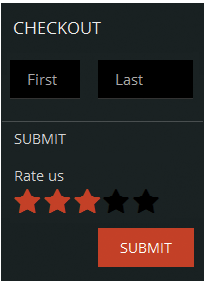 Submit: Change the text of the “Submit” button. Notification email: Specify email address that will receive the results of form submissions. Confirmation: Choose the confirmation your users will see after a successful form submission: Message or Redirect. 7. Color scheme: Select a color scheme. There are several different colors to choose from. 8. My forms window: Click “My Forms” and a new window will open up where you can preview, change and manage all of your forms that are hosted on our server. 10. Account info window: Click “My Account” and you will be taken to a window where you will find information about your account including information on. For troubleshooting, feature requests, and general help, contact Customer Support at . Make sure to include details on your browser, operating system, Formoid version, link to your page. In most cases you'll get a reply within 1 business day. Please fill out Customer Satisfaction Survey form. * New option: "Notification email". 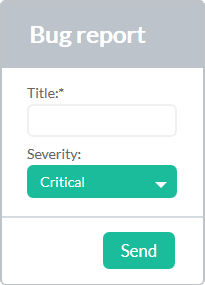 Now you can specify email address that will receive the reports. 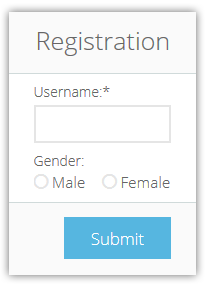 Formoid v1.0beta is a free desktop app that helps you easily create signup forms with jQuery validation, surveys, order HTML5 forms, event registrations and more in a few seconds without writing a single line of code. Create beautiful online CSS3 forms in just a few clicks. I downloaded and ran the exe, but couldn't get it to start in win 7 Home Premium. What did I do wrong? Hello! I have problem with message that is program already register with another mail. Can you help me? How can I use your application? Hi, I would love to buy , but I must host everything on my own server. The forms cannot “dial home” to your server or require your server to run. Hello. Can a form generated be used in Wordpress? I’m having trouble opening the application. "Formoid" can not be opened because it is from unidentified developer. Any suggestions? I noticed in your Metro Template Demo you have the first and last name fields side by side. How can I accomplish that? I could not find any method in Formoid. So I bought the formoid for when I am building websites and paid for the commercial version - but it seems that I can only use my registered email? Is this correct? Hi folks, is it possible when uploading the form to a site that the “from” be customizable? right now it is saying [email protected]… or [email protected]… thanks!